Russia’s proposed South Stream pipeline may have been canceled, but it evidently is worth something to the country’s gas monopoly, Gazprom, which has agreed to buy out its European partners and own the entire non-existent enterprise. 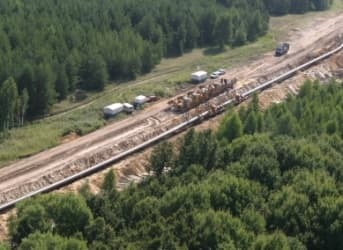 Gazprom, the largest gas exporter in the world, now owns 50 percent of South Stream, and said Dec. 29 that it will buy the other half from Italy’s Eni, which owns 20 percent of the project; and Electricite de France (EDF) and Wintershall, a unit of the German corporation BASF, each of which owns a 15 percent stake. None of the current owners would mention a price, but Gazprom’s three partners said they wanted to recover the investments they’d already made in the proposed pipeline that was supposed to be one of two major conduits for Russian gas to Western Europe. Both were designed to bypass a pipeline transiting Ukraine, which has been the focus of gas-supply problems for the past decade. South Stream, with a capacity of 63 billion cubic meters, was to have shipped gas under the Black Sea to Bulgaria, then to southern and central Europe. It was meant to be a kind of twin to a second pipeline, the Nord Stream, which already is carrying gas under the Baltic Sea to Germany. Bulgaria had been an eager participant in the South Stream project, but, under pressure from the European Union and the United States, it stopped work on its part of the enterprise in June because of Western anger over Moscow’s annexation of Ukraine’s Crimean peninsula in March. EU countries get about one-third of their gas from Gazprom, and half of that amount is delivered through the pipeline that runs through Ukraine. Ukraine, too, gets most of its gas from Russia, but for years it has complained that Russia has been charging Kiev too much for the fuel. At times Ukraine has siphoned off some gas meant for Western Europe to meet its needs, and twice, in 2006 and 2009, Gazprom shut off all deliveries through the pipeline, punishing not only Ukraine but also Western European customers. In October, Russian President Vladimir Putin threatened to repeat the cutoffs to Western Europe – reluctantly, he said – if Ukraine again steals gas from the conduit. Once Bulgaria withdrew from the South Stream project, it became clear that the pipeline was doomed. On Dec. 1, during a visit to Turkey, Putin announced its demise, placing the blame on Bulgaria and the EU. With South Stream defunct, Gazprom will build a pipeline of the same capacity leading to a gas hub on Turkey’s border with Greece. Alexey Miller, Gazprom’s CEO, said this would eliminate most if not all the problems posed by shipping gas through Ukraine. Further, he said, he hopes to be able to save money by using the piping already manufactured for the defunct South Stream. Meanwhile, whether Eni, EDF and Wintershall can recoup their investments in South Stream by selling their stakes to Gazprom is another matter. South Stream Transport Co. tells Tass that together they’re likely to lose more than $3 billion. Ukraine never "stole" gas from Russia. That's Russian propaganda.